Tracking asteroid 2015 TB145 live, demonstrating a new program for continuous tracking of minor planets. Pan-STARRS (Panoramic Survey Telescope and Rapid Response System). All eyes are on the "Great Pumpkin" asteroid ahead of its Halloween close approach. Asteroid 2015 TB145 still poses no threat to Earth, but it does continue to deliver some surprises. The latest observations reveal meteoroids associated with the asteroid are unlikely to hit Earth, but, if anything changes, they could put on a show for some skywatchers, particularly in Asia. This may be the same meteor, one person reported in Central time and the other CDT. Check security cameras for videos! 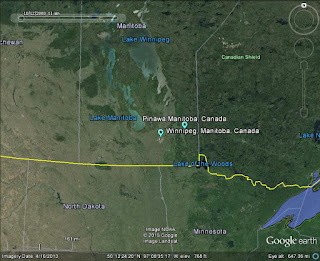 On Friday October 30, 2015 @ approximately 11:30pm, I witnesses a large bright green fireball type object with a long tracer tail appearing to dissipate in the north west sky of Winnipeg. This lasted approximately 4-5 seconds and then 7 seconds disappeared. I was travelling Route 90 northbound approaching the Perimeter hwy and the object traveled very quickly down south south west direction. 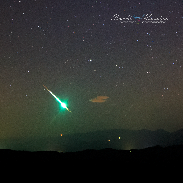 Lake Baikal, Fireball Meteor 22OCT2015 A Small Meteorite Falls in Lake Bakal A meteorite has fallen on Lake Baikal, reported Wednesday the . 17: The Leonid Meteor shower peaks as Leo rises around midnight. It's best seen from a dark location and you could see 10-20 meteors per hour. Halloween hell: can tech save us from giant asteroids like 2015 TB145? Great Balls of Halloween Fire, Here Comes the Taurid Meteor Shower! The Northern Taurid meteor shower, a minor shower that often goes unrecognized, could put on a show this weekend, according to Universe Today. October 2015 "Asteroid Coded Signals"
There are currently 1, 8,10, 11,12 18 known NEO Asteroids discovered that will pass within approximately 10LD or less (LD stands for "Lunar Distance"), in the month of October 2015. Expect some spectacular bolides, fireballs, and meteors this month and especially large ones 3-5 days before and following the passing of 7 small mountain-sized NEO asteroids and 1 comet, diameters ranging from 500m- 2.6km, that will safely pass this month. New meteor flew over Petrozavodsk. source. tell friends. 3 hour ago Comments. Sniper shot at a police Department in Novosibirsk was detained. On October 22nd, what appeared to be a slow-moving meteor crashed into Russia's mysterious Lake Baikal barely a kilometer from the shore. Hundreds of people are likely to line up at the annual Earth and Space Exploration Day on Nov. 7, hoping their rocks are identified as meteorites by ASU's experts. Only one or two turn out to be each year, but the event offers plenty of interesting activities as consolation. HALLOWEEN FIREBALLS: This weekend, Earth could run into a stream of gravelly debris from Comet Encke, source of the annual Taurid meteor shower. The last time this happened, ten years ago in Oct. 2005, the encounter sparked a two-week display of bright meteors called the "Halloween fireballs." Will it happen again in 2015? Visit http://spaceweather.com for more information and observing tips. 17 – The Leonid Meteor shower peaks as Leo rises around midnight. It's best seen from a dark location and you could see 10-20 meteors per hour. A Halloween Season 'Taurid Meteor Swarm' on Tap for 2015? A meteorite has fallen on Lake Baikal, reported Wednesday the Astronomical Observatory of the University of Irkutsk (Siberia) on its website. Earth Bloomed Early: A Fermi Paradox Solution? 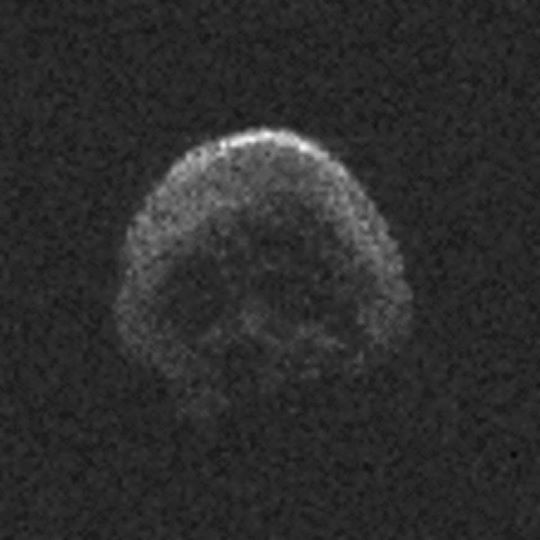 International Business Times‎ - 20 hours agoThe Halloween asteroid will make its close approach of Earth around 1:05 p.m. EDT. A new scientific study has found that the Earth is in greater danger than previously thought of a catastrophic meteor impact due to comet . "We generally can't predict when asteroids or other meteor parent bodies are going to hit Earth and so we can't plan observations of these events. [1510.07869] Are some meteoroids rubble piles? updates pending- Meanwhile Indonesia MeteorRats Scramble! 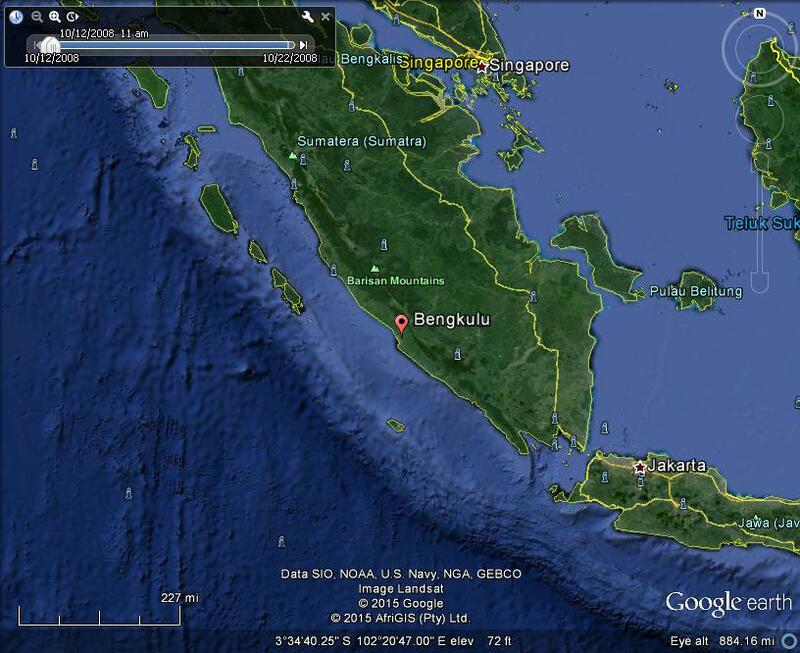 The National Institute of Aeronautics and Space (LAPAN) said on Tuesday that a fiery object that blazed across the night sky in Rejang Lebong, Bengkulu was a meteorite. “We strongly suspect that it was a meteorite,” head of LAPAN Thomas Djamaluddin said as quoted by tribunnews.com. 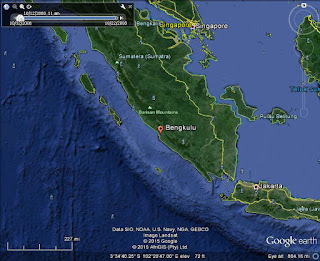 Explosion sound and flash of fire, Meteor Falling in Bengkulu? Suara Ledakan dan Kilatan Api, Meteor Jatuh di Bengkulu?Liputan6.com, Bengkulu - Villagers Pelalo District of East Curup Rejang Lebong Bengkulu, on Monday night (26OCT2015) around 19:00 pm, struck a large explosion sound of the forest. When it happens, it'll be moving faster than a satellite would across the sky, but slower than a typical meteor, and may actually look like it's shedding .. 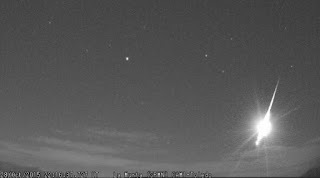 Given the behavior of past Taurid swarms, increased fireball activity may be seen during the last week of October and the first two weeks of November.